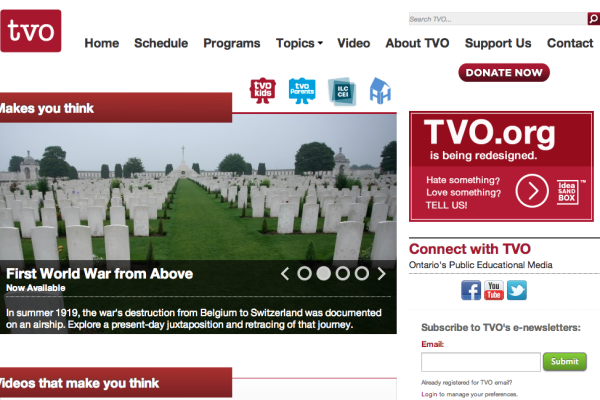 The redesign of the TVO.org website was a multi-year, inter departmental project. The project involved multiple stakeholders, from the C-suite, to IT and business process, to the unions governing both technical staff and journalists. The challenges we were addressing with the redesign were to rebrand the organization as a charitable organization with a strong online donation mandate; we needed to automate video encode and distribution processes to free editorial staff up to create more digital content online, and we had to move from a homegrown content management system to the use of Drupal web templates that would be simple to update regardless of user skill. Generating buy in and involvement of staff who would need to implement many of the changes the new systems would bring was a critical part of the job. The content management system had to accommodate multiple levels of administration and a complex editorial workflow. As a public service Government website, we were careful to ensure that tools our users needed were easy to find and easy to use, and fully accessible. And, we implemented a rich related content model to drive users to discover our “Long Tail” content. The result was a new website that seamlessly integrated content management processes from the internal North Plains enterprise archive, video encode and streaming via the Brightcove CDN, and a new piece of technology called the Digital Services Repository, all of which fed a Drupal website. Training was designed and delivered to over 80 employees across the organization, in content marketing, business process, and IT. 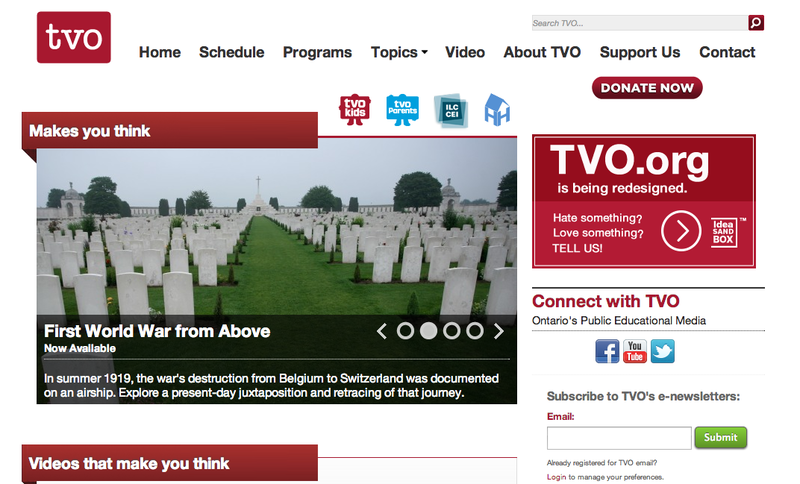 An all-new corporate donation-based microsite was launched. Unique visitors to the site increased almost immediately.